Usually, when Plies hits the stage, you can count on hundreds and twenties raining down on the crowd as he raps about how much dough is in his bank roll. But recently the Florida rapper decided to spend his cash a little more frugally at a rap concert. According to Hip Hop Enquirer, Plies invited an 18-year old high school senior on stage at a holiday concert in Atlanta. The girl, Khambrea Johnkins, probably was thinking she was about to get serenaded with a lyric containing her name and maybe an expletive or two. But instead, Plies, whose real name is Algernold Lanier Washington, shocked the crowd by saying he was proud to hear she was a graduating senior and offered to pay for her tuition to any college in the country. "I don't give a damn if its Georgia Tech Notre Dame, Flora State, Harvard, or Yale, if you want to go to college, i am going to send you to college," Plies announced in his most gully Fort Myers voice. Now anyone who knows Plies' lyrics knows that when he is talking about brains, it usually doesn't refer to a woman's intellect (check the verses to "Becky" or "Bust It Baby" for those in the dark). But the Christmas surprise was a refreshing look at the 33-year-old Plies, who despite his self-professed "goon" status attended college at Miami University in Ohio and Central Florida before blowing up on the rap scene. 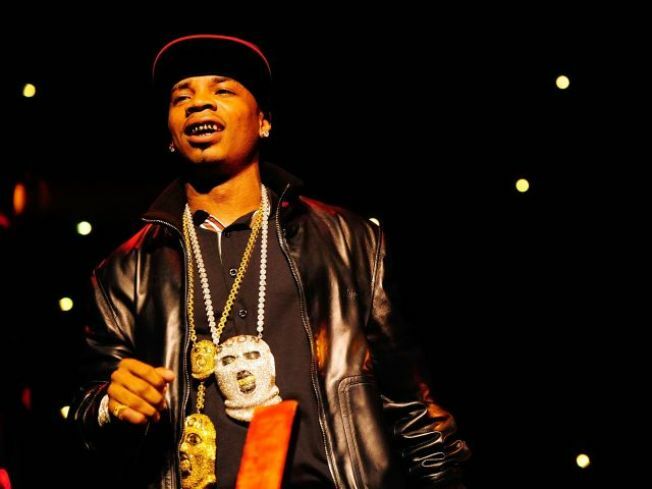 Plies had been criticized for tossing $50,000 in the crowd at one of his concerts, which got the haters stirring probably because they didn't get any. Johnkins immediately flashed the "U" sign letting the 15,000 party goers know she wants to spend the next four years of her life in Coral Gables at the University of Miami campus. She plans on studying nursing. "Well F--- it, I guess you are going to the University of Miami," Plies replied. That's what we call a Christmas gift rapped the right way.